Switching gears for our Fashionable Friday #TargetTwins posts, fellow Target Style fan Toni and I have created a new way to demonstrate the versatility of this daisy print skirt. This week, we've each styled two ways to wear the skirt, resulting in this grid of four looks: beachy, boho, preppy, and professional. 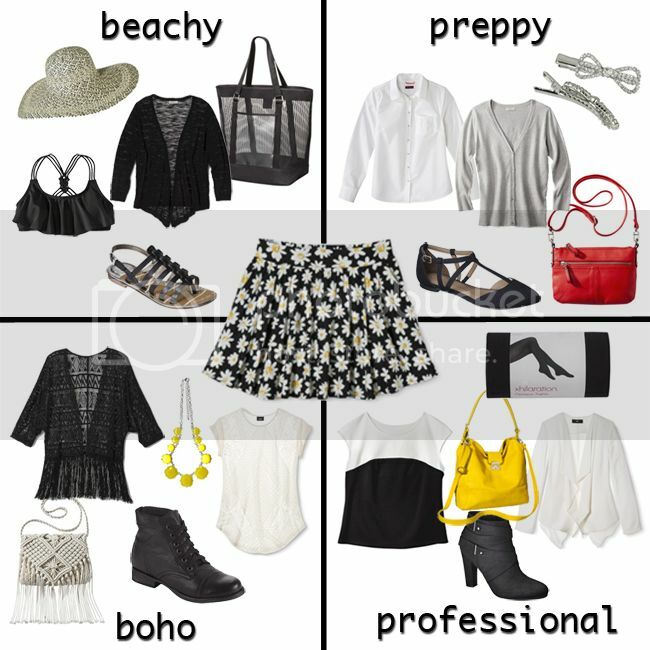 I styled the beachy and boho looks, while Toni created the preppy and professional outfits. The possibilities are endless! As you can see, the skirt seamlessly transitions from a busy day at the office to the beach, and beyond. 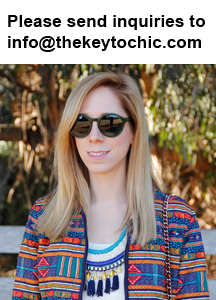 I chose fringed pieces to lend a textural interest and a laid-back bohemian vibe, while a ruffled swim top, drapey cardigan and mesh tote make it both casual and beach appropriate. Which look best suits your style? Check out #TargetTwins on Instagram and Pinterest to see the daisy print skirt in action.